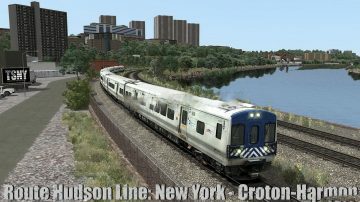 Mod Route Hudson Line: New York – Croton-Harmon v1.0 for TS 2019 | Train Simulator 2019 game. 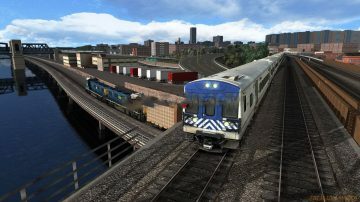 The Hudson Line is one of the most famous, bustling, and scenic rail lines in America – and now it comes to Train Simulator. Pulsing with Metro-North commuter, Amtrak intercity passenger, and CSX freight trains, the Train Simulator Hudson Line is packed with railroading challenges. The Train Simulator Hudson Line route stretches along the east bank of the famed Hudson River from New York City to Croton-Harmon, New York, and serves three roles: it is Metro-North’s busy Hudson Line commuter route; it is the southern end of Amtrak’s Empire Corridor, home to Amtrak’s Empire Service intercity trains and long-haul trains such as the Lake Shore Limited, Maple Leaf, and Adirondack; and it is CSX’s Hudson Subdivision, providing freight service in and out of the Bronx and greater New York. In history and lore, the line was part of the fabled “Water Level Route” of the New York Central and path of the 20th Century Limited. The Hudson Line route includes seven challenging career scenarios that include Metro-North commuter, Amtrak intercity passenger, and CSX freight operations. How to set the fashion in the Train Simulator: for RailWorks add-ons are installed using the built-in Utilites Add-ons Manager, located in the root folder of the game. Press the large Install button (SET) which is to the right, and specify a location or rpk rwp-archive. If the file is not packed in such a file, then copy the Assets folder to the root of the game and confirm the replacement. 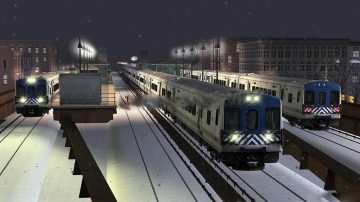 Train Simulator Addons is a great extra feature, which help to upgrade your game and get the very best of it. 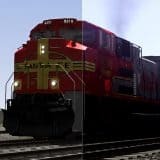 Each Train Simulator Mod has different specifications; therefore, we recommend taking a look at which kind of options are available for every file. TS Addon is so easy to use that it will only take few seconds to add it to your game. TS Mod will save much of your time and energy, so why not to try it?